Registration and certification of all North Dakota vital records is provided for by the state's Division of Vital Records. 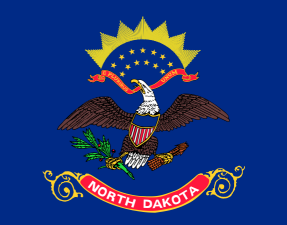 North Dakota birth records are available, for a fee and with proper photo identification, starting in 1870, but the years 1870 to 1920 are incomplete. Records are available only to the individual on the document or that person's parent. Fees may be paid by credit card, personal check, or money order. Additional information on how to obtain certified copies is available online at http://www.ndhealth.gov/vital/birth.htm. North Dakota death records are available for a fee and with proper photo identification, starting in July 1893, but the years 1894 to 1920 are incomplete. One or two forms of ID may be necessary, depending upon the kind of identification supplied. Information on how to obtain certified copies of death records is also available online at http://www.ndhealth.gov/vital/death.htm. Note: Any person making a request must submit a legible photocopy of a current driver's license or photo ID when making a request or request will be denied - per legislation..
Record Access Requirements: If under 16, parent or legal guardian signature needed. Only the indivudal named on the certificate or person's parnets can request a certified copy. Record Access Requirements: Cause of death not shown on copy of Death Certificate if not a family member.